Scores 49 Highway MPG and 55 City MPG! This Honda Insight boasts a Gas/Electric I-4 1.5 L/91 engine powering this Variable transmission. Wheels: 16 Aluminum Alloy, Wheels w/Machined w/Painted Accents Accents, VSA Electronic Stability Control (ESC). 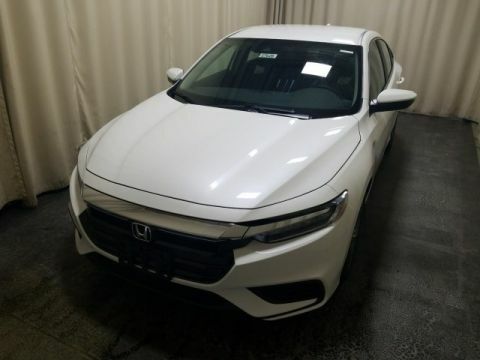 *This Honda Insight Comes Equipped with These Options *Variable Intermittent Wipers, Trunk Rear Cargo Access, Trip Computer, Transmission: Electric Continuously Variable -inc: ECON, Sport and EV drive modes, Shift-By-Wire (SBW) and deceleration selectors, Tires: 215/55R16 93V AS, Tailgate/Rear Door Lock Included w/Power Door Locks, Systems Monitor, Strut Front Suspension w/Coil Springs, Sport Steering Wheel, Spare Tire Mobility Kit. * Stop By Today *For a must-own Honda Insight come see us at Middletown Honda, 520 Route 211 E, Middletown, NY 10941. Just minutes away! Delivers 49 Highway MPG and 55 City MPG! This Honda Insight delivers a Gas/Electric I-4 1.5 L/91 engine powering this Variable transmission. Wheels: 16 Aluminum Alloy, Wheels w/Machined w/Painted Accents Accents, VSA Electronic Stability Control (ESC). 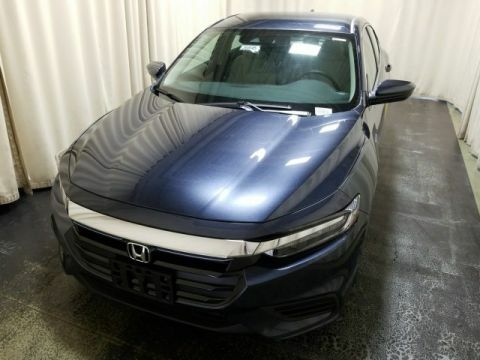 *This Honda Insight Comes Equipped with These Options *Variable Intermittent Wipers, Trunk Rear Cargo Access, Trip Computer, Transmission: Electric Continuously Variable -inc: ECON, Sport and EV drive modes, Shift-By-Wire (SBW) and deceleration selectors, Tires: 215/55R16 93V AS, Tailgate/Rear Door Lock Included w/Power Door Locks, Systems Monitor, Strut Front Suspension w/Coil Springs, Sport Steering Wheel, Spare Tire Mobility Kit. * Visit Us Today *Test drive this must-see, must-drive, must-own beauty today at Middletown Honda, 520 Route 211 E, Middletown, NY 10941. Boasts 49 Highway MPG and 55 City MPG! This Honda Insight delivers a Gas/Electric I-4 1.5 L/91 engine powering this Variable transmission. Wheels: 16 Aluminum Alloy, Wheels w/Machined w/Painted Accents Accents, VSA Electronic Stability Control (ESC). 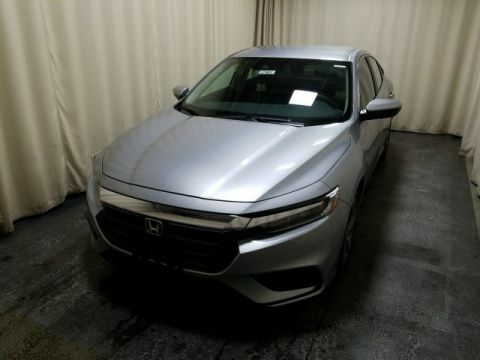 * This Honda Insight Features the Following Options *Variable Intermittent Wipers, Trunk Rear Cargo Access, Trip Computer, Transmission: Electric Continuously Variable -inc: ECON, Sport and EV drive modes, Shift-By-Wire (SBW) and deceleration selectors, Tires: 215/55R16 93V AS, Tailgate/Rear Door Lock Included w/Power Door Locks, Systems Monitor, Strut Front Suspension w/Coil Springs, Sport Steering Wheel, Spare Tire Mobility Kit. * Stop By Today *Test drive this must-see, must-drive, must-own beauty today at Middletown Honda, 520 Route 211 E, Middletown, NY 10941. Scores 49 Highway MPG and 55 City MPG! This Honda Insight boasts a Gas/Electric I-4 1.5 L/91 engine powering this Variable transmission. Wheels: 16 Aluminum Alloy, Wheels w/Machined w/Painted Accents Accents, VSA Electronic Stability Control (ESC). 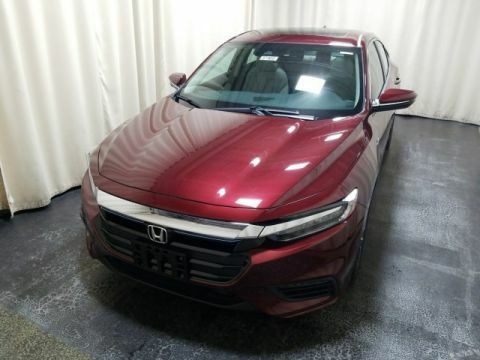 * This Honda Insight Features the Following Options *Variable Intermittent Wipers, Trunk Rear Cargo Access, Trip Computer, Transmission: Electric Continuously Variable -inc: ECON, Sport and EV drive modes, Shift-By-Wire (SBW) and deceleration selectors, Tires: 215/55R16 93V AS, Tailgate/Rear Door Lock Included w/Power Door Locks, Systems Monitor, Strut Front Suspension w/Coil Springs, Sport Steering Wheel, Spare Tire Mobility Kit. 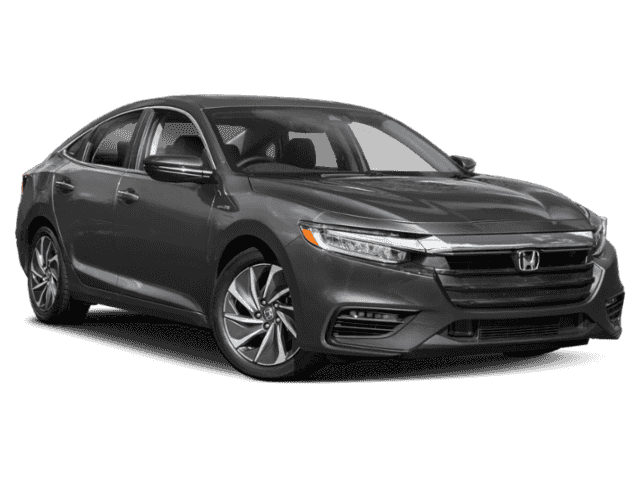 * Visit Us Today *Come in for a quick visit at Middletown Honda, 520 Route 211 E, Middletown, NY 10941 to claim your Honda Insight! Boasts 49 Highway MPG and 55 City MPG! This Honda Insight delivers a Gas/Electric I-4 1.5 L/91 engine powering this Variable transmission. Wheels: 16 Aluminum Alloy, Wheels w/Machined w/Painted Accents Accents, VSA Electronic Stability Control (ESC). 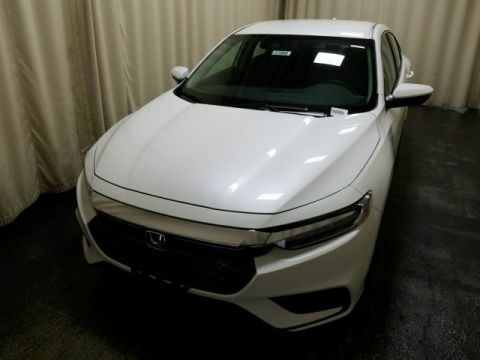 *This Honda Insight Comes Equipped with These Options *Variable Intermittent Wipers, Trunk Rear Cargo Access, Trip Computer, Transmission: Electric Continuously Variable -inc: ECON, Sport and EV drive modes, Shift-By-Wire (SBW) and deceleration selectors, Tires: 215/55R16 93V AS, Tailgate/Rear Door Lock Included w/Power Door Locks, Systems Monitor, Strut Front Suspension w/Coil Springs, Sport Steering Wheel, Spare Tire Mobility Kit. * Visit Us Today *Stop by Middletown Honda located at 520 Route 211 E, Middletown, NY 10941 for a quick visit and a great vehicle! Scores 49 Highway MPG and 55 City MPG! This Honda Insight delivers a Gas/Electric I-4 1.5 L/91 engine powering this Variable transmission. Wheels: 16 Aluminum Alloy, Wheels w/Machined w/Painted Accents Accents, VSA Electronic Stability Control (ESC). 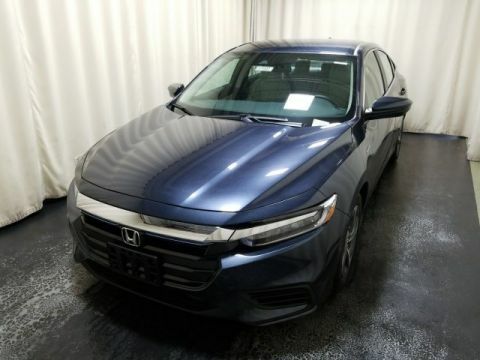 * This Honda Insight Features the Following Options *Variable Intermittent Wipers, Trunk Rear Cargo Access, Trip Computer, Transmission: Electric Continuously Variable -inc: ECON, Sport and EV drive modes, Shift-By-Wire (SBW) and deceleration selectors, Tires: 215/55R16 93V AS, Tailgate/Rear Door Lock Included w/Power Door Locks, Systems Monitor, Strut Front Suspension w/Coil Springs, Sport Steering Wheel, Spare Tire Mobility Kit. * Visit Us Today *Come in for a quick visit at Middletown Honda, 520 Route 211 E, Middletown, NY 10941 to claim your Honda Insight! Delivers 49 Highway MPG and 55 City MPG! This Honda Insight delivers a Gas/Electric I-4 1.5 L/91 engine powering this Variable transmission. Wheels: 16 Aluminum Alloy, Wheels w/Machined w/Painted Accents Accents, VSA Electronic Stability Control (ESC). 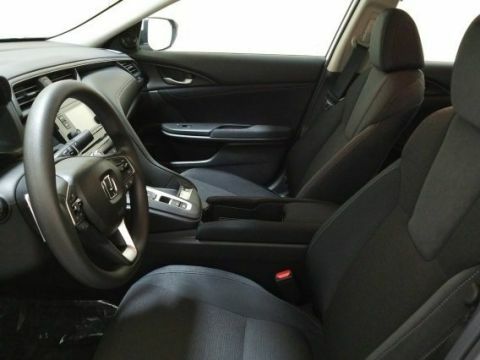 * This Honda Insight Features the Following Options *Variable Intermittent Wipers, Trunk Rear Cargo Access, Trip Computer, Transmission: Electric Continuously Variable -inc: ECON, Sport and EV drive modes, Shift-By-Wire (SBW) and deceleration selectors, Tires: 215/55R16 93V AS, Tailgate/Rear Door Lock Included w/Power Door Locks, Systems Monitor, Strut Front Suspension w/Coil Springs, Sport Steering Wheel, Spare Tire Mobility Kit. * Stop By Today *Test drive this must-see, must-drive, must-own beauty today at Middletown Honda, 520 Route 211 E, Middletown, NY 10941. Boasts 45 Highway MPG and 51 City MPG! This Honda Insight delivers a Gas/Electric I-4 1.5 L/91 engine powering this Variable transmission. Wheels: 17 Aluminum Alloy, Wheels w/Machined w/Painted Accents Accents, VSA Electronic Stability Control (ESC). *This Honda Insight Comes Equipped with These Options *Trunk Rear Cargo Access, Trip Computer, Transmission: Electric Continuously Variable -inc: ECON, Sport and EV drive modes, Shift-By-Wire (SBW) and deceleration selectors, Tires: 215/50R17 91H AS, Tailgate/Rear Door Lock Included w/Power Door Locks, Systems Monitor, Strut Front Suspension w/Coil Springs, Sport Leather Steering Wheel, Spare Tire Mobility Kit, Sliding Front Center Armrest and Rear Center Armrest. * Visit Us Today *Live a little- stop by Middletown Honda located at 520 Route 211 E, Middletown, NY 10941 to make this car yours today! Delivers 45 Highway MPG and 51 City MPG! This Honda Insight boasts a Gas/Electric I-4 1.5 L/91 engine powering this Variable transmission. Wheels: 17 Aluminum Alloy, Wheels w/Machined w/Painted Accents Accents, VSA Electronic Stability Control (ESC). * This Honda Insight Features the Following Options *Trunk Rear Cargo Access, Trip Computer, Transmission: Electric Continuously Variable -inc: ECON, Sport and EV drive modes, Shift-By-Wire (SBW) and deceleration selectors, Tires: 215/50R17 91H AS, Tailgate/Rear Door Lock Included w/Power Door Locks, Systems Monitor, Strut Front Suspension w/Coil Springs, Sport Leather Steering Wheel, Spare Tire Mobility Kit, Sliding Front Center Armrest and Rear Center Armrest. * Visit Us Today *Test drive this must-see, must-drive, must-own beauty today at Middletown Honda, 520 Route 211 E, Middletown, NY 10941. Scores 45 Highway MPG and 51 City MPG! This Honda Insight boasts a Gas/Electric I-4 1.5 L/91 engine powering this Variable transmission. Wheels: 17 Aluminum Alloy, Wheels w/Machined w/Painted Accents Accents, VSA Electronic Stability Control (ESC). *This Honda Insight Comes Equipped with These Options *Trunk Rear Cargo Access, Trip Computer, Transmission: Electric Continuously Variable -inc: ECON, Sport and EV drive modes, Shift-By-Wire (SBW) and deceleration selectors, Tires: 215/50R17 91H AS, Tailgate/Rear Door Lock Included w/Power Door Locks, Systems Monitor, Strut Front Suspension w/Coil Springs, Sport Leather Steering Wheel, Spare Tire Mobility Kit, Sliding Front Center Armrest and Rear Center Armrest. * Stop By Today *A short visit to Middletown Honda located at 520 Route 211 E, Middletown, NY 10941 can get you a tried-and-true Insight today!